Empowering young professionals to become agents of change by building their professional and leadership skills. 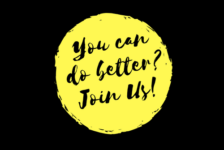 For the second year in a row, Destination Justice is conducting its Changemaker Training Program, a 3-month workshop designed by Destination Justice and Cambodian practitioners for high-performing young individuals who wants to create change. 10 selected trainees will meet every week at the Justice Café which was launched in July 2015. The Justice Café is ‘a home for changemakers’, where we provide for free books and other resources to empower young people. We organise talks, conversations with practitioners, and produce media that we publish on our Youtube channel. This year program will be facilitated by Céline Martin, a Seth Godin’s AltMBA alumnus and Destination Justice Technical Advisor in Phnom Penh, and alumni of the program. Apply by filling the form here. 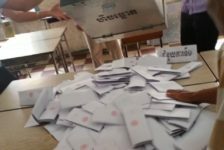 At the end of 2013, Destination Justice undertook an educational outreach in Kampong Cham province at the Chea Sim University and delivered a professional skills development training to students. Following this experience, at the beginning of 2014, we piloted a ‘Justice Ambassadors’ program delivering professional skills and knowledge to young people while they undertook an internship in the justice sector. 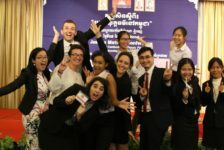 10 young people interning in law firms (such as Amrin Law Firm) and civil society organisations (International Bridges to Justice, the Cambodian Defenders Project, CCHR, Destination Justice) participated in the program over a period of three months. The program was a success with these young people and they eventually spent more time in our premises. This hinted to us that young people are in need of a safe and participatory space where they can talk freely. It led us to develop and build the Justice Café . Previously to the development of the Justice Café, we initiated an evaluation of the pilot of the ‘Justice Ambassadors’ program. 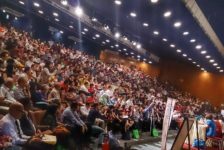 While as mentioned previously the program was a success with the participants and the organisations they interned with, it was concluded that as such it was unsustainable and that it would be difficult to scale up. Training materials took a lot of time to prepare and while we still have them, they need to be redeveloped and adjusted. 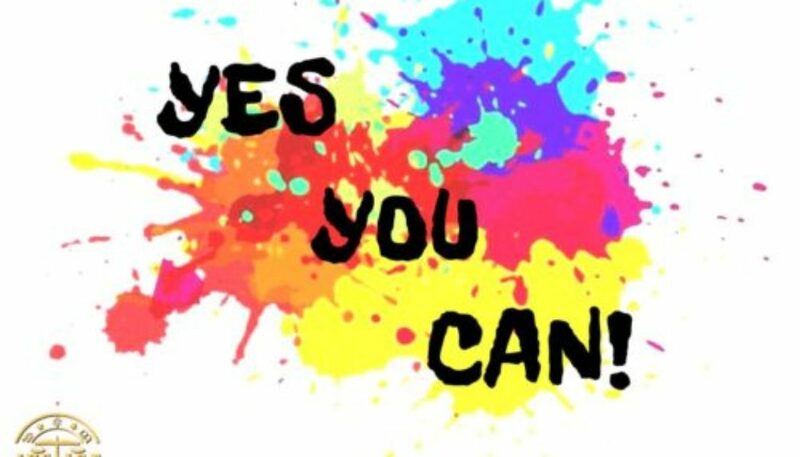 Moreover the program being conceived around one person knowing and delivering the training was putting at risk the durability of the program and was limiting its handover. 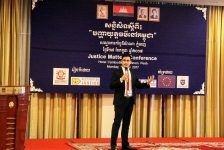 The program was put on hold and we piloted two ‘Justice Matters Roadshows’ in universities in Battambang and Siem Reap with overall 200 law students. These roadshows immersed students in a daylong workshop about what justice should be and what it means to them. Interviews were filmed and presented recently during our Justice Matters conference in July 2016. The focus was redirected then to the Justice Café until the beginning of 2016 when we started to explore the idea of creating a Justice Education Toolkit to empower young changemakers to educate others about how to effectively access the justice system. The idea was presented and well received during our Justice Matters conference previously mentioned. 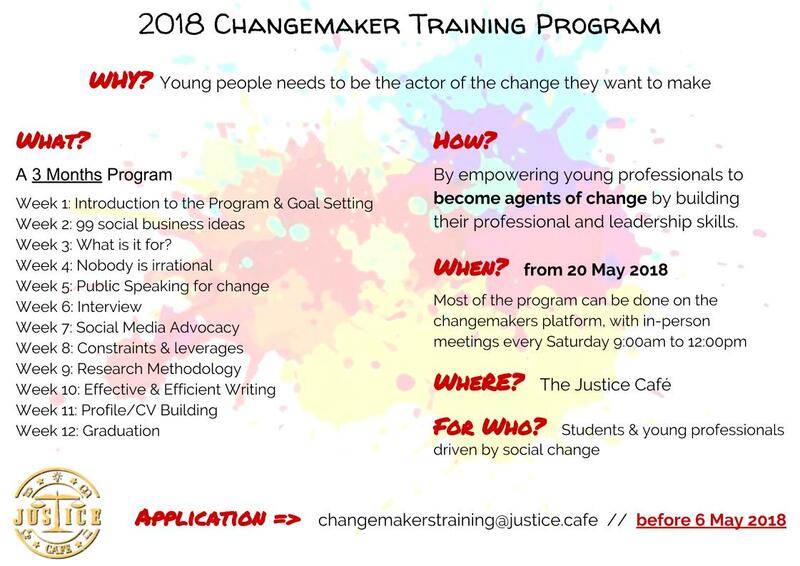 The Changemakers Training Program is at the crossroads of the ‘Justice Ambassadors’ program, the ‘Justice Roadshows’, the idea of the Justice Education Toolkit and the Justice Café’s activities. 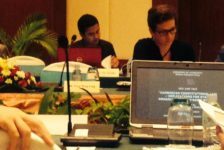 Céline is a researcher specialised in Human Rights, and actually serves as Dstination Justice Program Manager and Advisor for our Phnom Penh Office. 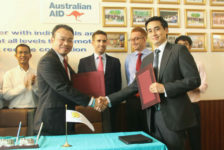 (Cambodia) Céline also pursues a PhD in International Public Law at Aix-Marseille University (France) focusing on regional protection(s) of Human Rights in Asia.